← INEC acted rightly within the ambits of the Law in Okorocha’s case – Jimmy Abia. The Federal High Court 2, sitting in OWERRI this morning struck out the suit brought by agents of Uche Nwosu the candidate of the Action Alliance and the party, seeking to restrain INEC from issuing Hon. 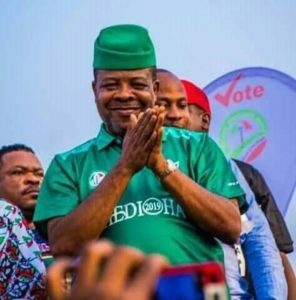 Emeka Ihedioha with a Certificate of Return, having been declared winner of the Governorship election held on March 9, 2019. The court therefore stated clearly that post-election matters belong to the election tribunals”. This is a settled case by our Laws and Nigerian Case Laws. Agents of Action Alliance AA acting in the interest of the AA governorship candidate, Uche Nwosu, had last week stealthily filed an Originating Summons with an Exparte Motion at the Owerri Federal High Court, seeking to restrain INEC from Issuing the Imo Governor-elect with a Certificate of Return. That move has now fallen flat.